How Come Gun Belts Cost So Much? 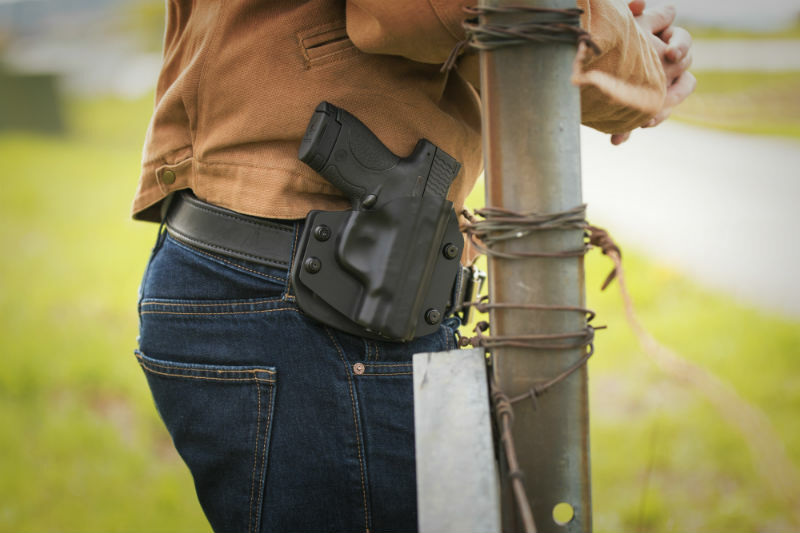 Most people who carry a pistol every day will tell you that gun belts are absolutely necessary to keep the weight of a pistol and holster supported on the waistline, at least if they're carrying on the waistband. It's not so necessary if you have a shoulder holster. That said, many people are likely to notice that there's a premium to be paid for good gun belts. Why should I do that, some might ponder. Why pay more for a leather belt when I can get one down at the Walmart for half the price or less? Well, there are a number of good reasons for it, all of which have to do with how a gun belt functions. Why do you need a gun belt over a regular fashion belt? Even the ones they got down yonder feed store what with the Tony Lama boots and such? Simply put - those belts aren't strong enough and won't last as long. Belts provide a certain amount of tension around the waistline. Every belt has an inherent tolerance, beyond which it will start to sag where the holster and pistol are located. This is "gun sag," and it is not desirable at all. When a belt starts to sag, the part of the waistline where a pistol is holstered will begin to droop, and if concealing with an untucked shirt, the gun and holster can peek out under the shirt tail. This blows your concealment and defeats the purpose of concealing. Furthermore, the tension against your firearm will likely be lessened, meaning it isn't held as securely as it should be. This can lead to your pistol being dropped, which in turn can lead to someone else taking your pistol or - in rare cases - a drop fire. The typical fashion belt can't provide enough tension. Some might at first, but likely it will "crack" and begin to droop after a short period of time, maybe a few weeks if you're lucky. That means you need a stouter belt, which usually means stronger materials are need. As with most durable goods, greater capacity for work comes with a higher buy-in cost. If you need a diesel pickup for towing, the oil-burning drivetrain comes with a premium. Naturally, stronger gun belts have to be made of stronger materials, so sturdy leather gun belts require stronger leather. Leather, you see, comes in a variety of grades. Top grain, full grain and genuine leather are among the most common. Each is made from a different part of the skin of the animal the leather is made from. Naturally, cow is most common. Skin, as most of us probably remember from health class, has two primary layers, with a bunch of connective tissues and so forth running through it. There's the epidermis on top and the dermis below it. Below the dermis sits the muscles and so on. Anyway, full grain leather is mostly the top layer of skin with a bit of bottom layer - about 70/30. Top grain is about 50/50, and genuine is mostly bottom layer with a bit of top layer, sort of the opposite ratio from full grain. There is less of the top layer in the whole skin of the cow than the bottom layer, and lesser still high quality leather in any given hide. Those belts you get from department stores? Mostly genuine leather. A lot of them will have a wee sticker that says so. Genuine leather is much weaker than full or top grain leather, and will wilt quickly. That's why you have to replace the belt every few years. Top grain is stronger than genuine and full grain is stronger than that, since the top layer of skin is the most rigid. Since there's less full grain leather in a hide, that means full grain products cost more. They call that scarcity, which is part of supply, demand and price, as we all likely remember from Econ. Likewise, stronger formulae of nylon come dearer than those of lesser quality. 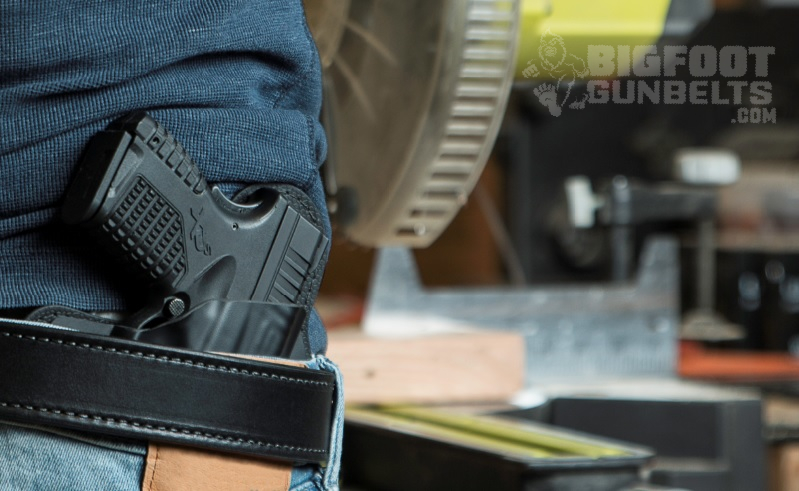 A good concealed carry belt also needs to be built with better construction. Besides better materials to make the belt with, better hardware and other supplies for construction and finishing also impose a higher base price to a belt. Concealed carry belts need to stay together once assembled. Strong construction ensures that they do. Stitching on a double-ply belt that comes apart easily means a belt that won't take long to do you no good while carrying. A cheap core in a reinforced gun belt will fragment and the belt will lose rigidity. 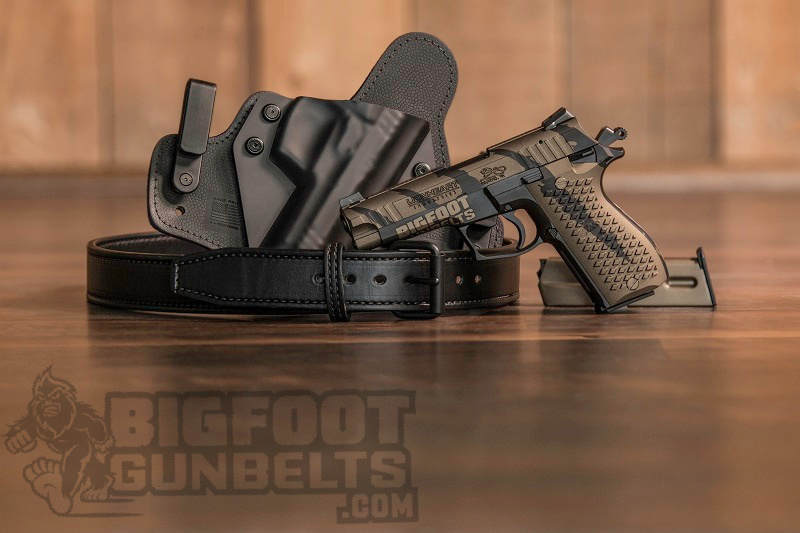 In short, gun belts are expensive because a superior belt requires superior materials and construction, which is the only way to get a belt that will carry your pistol, holster, trousers and other gear all day, every day, for years. The right belt may last for a lifetime. It's an investment, but it can pay dividends if you pick the right one.